6(f). Polytrichum, moss, archegonium, w.m. 7(f). Polytrichum, moss, archegonium, l.s. 8(e). 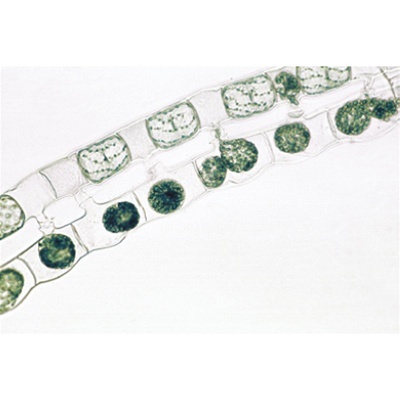 Spirogyra scalariform conjugation showing zygotes following conjugation 9(d). Sea urchin, developing of eggs, w.m. of most stages up to pluteus 10(f). Giant chromosomes from salivary gland of Chironomus, squash preparation stained for chromomeres 11(f). Giant chromosomes, section 12(e). Ascaris, fertilisation of eggs, t.s. 13(f). Ascaris, male and female pronuclei, t.s. 16(d). Testis of mouse, t.s. showing spermatogenesis 17(d). 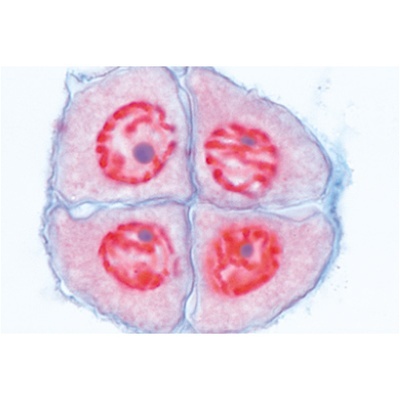 Ovary of rabbit, l.s. showing follicles in various stages 18(f). 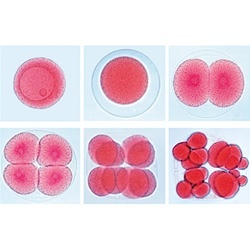 Embryology of fish, l.s. 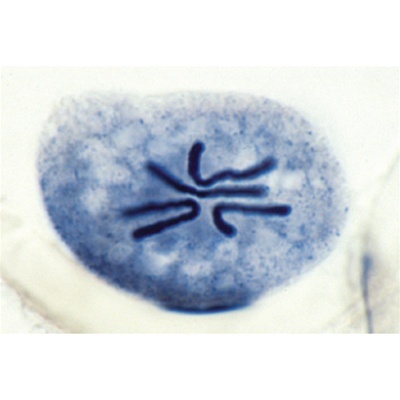 of embryo showing animal mitosis 19(h). 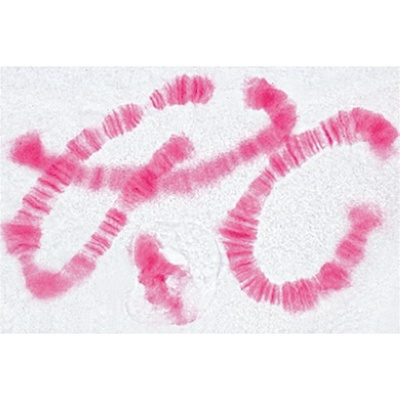 Chromosomes, human, female, of culture of peripheral blood 20(i). 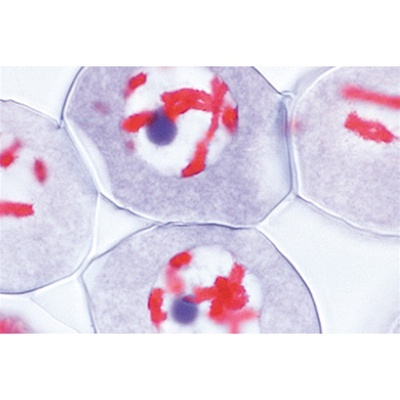 Chromosomes, human, male, of culture of peripheral blood 21(f). Drosophila genetics, adult wild type, w.m. 22(f). Drosophila genetics, “barr eye” mutant, w.m. 23(f). Drosophila genetics, “brown eye” mutant, w.m. 24(f). Drosophila genetics, “vestigial wing” mutant, w.m. 25(f). Drosophila genetics, “white eye” mutant, w.m.